MSIT Class of 2018 with Program Director Randall Berry. Photo by Sean Su. 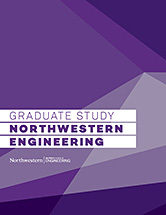 Northwestern University's Master of Science in Information Technology (MSIT) program is excited to recognize its new graduates in the upcoming graduation ceremonies in June, 2019. Our students have worked hard to earn the MSIT degree. While some have managed this degree as part-time students with full-time jobs, others quit their jobs to be full-time students with the MSIT program. It is time now to celebrate all of their hard work. 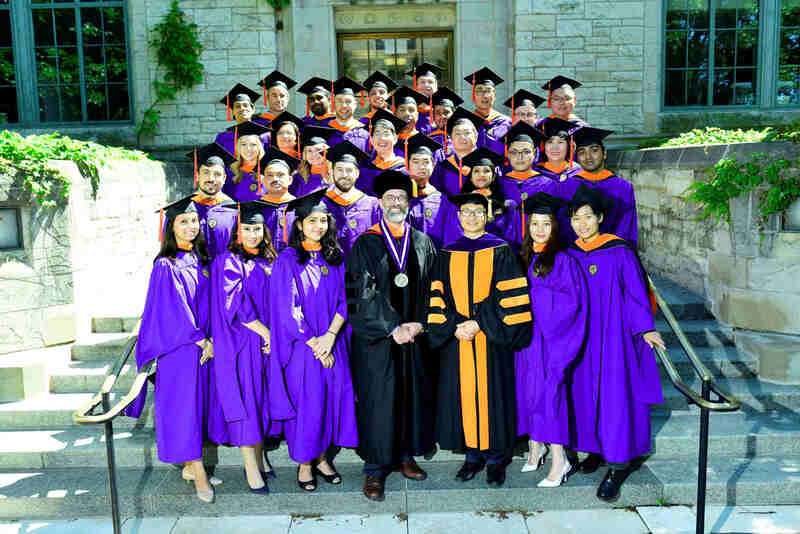 The MSIT program will order your caps & gowns (regalia) for use during the ceremonies. Please DO NOT order regalia separately from the University Services. Graduates may keep their caps and tassels but gowns must be returned MSIT. If you are walking in the University-wide commencement, you will need to order tickets for your family and friends from the Commencement Tickets Website. Graduates are asked to arrive no later than 11:30am to line up. 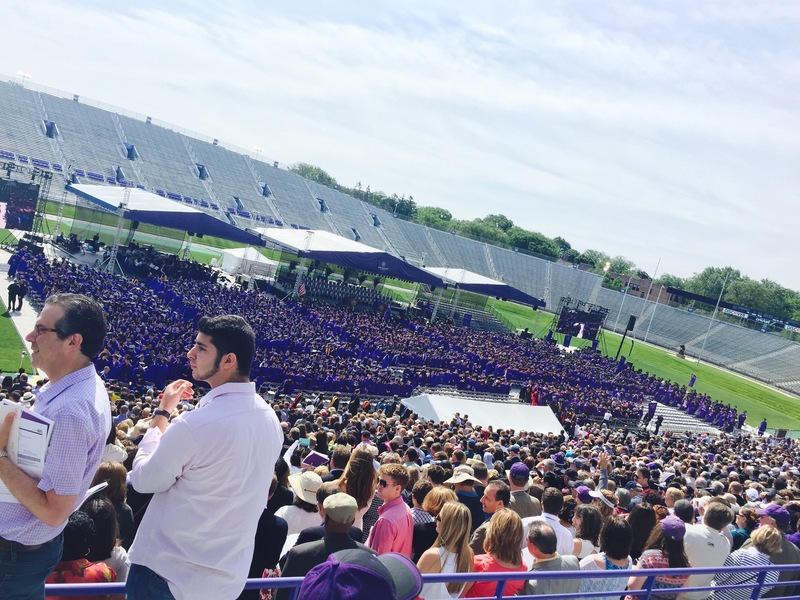 Doors to the McGaw Memorial Hall/Welsh-Ryan Arena will open at 11:30am for your family members and guests. 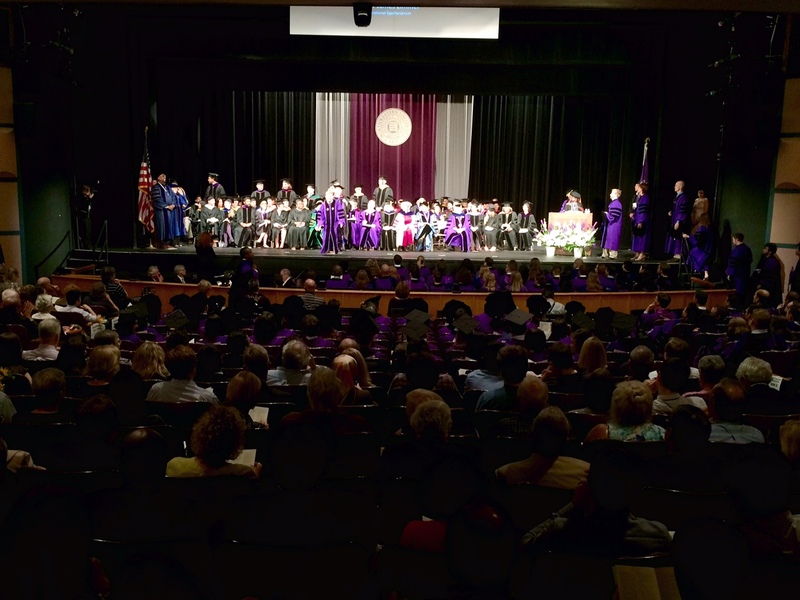 No ticketsare required for the McCormick Master’s Ceremony. 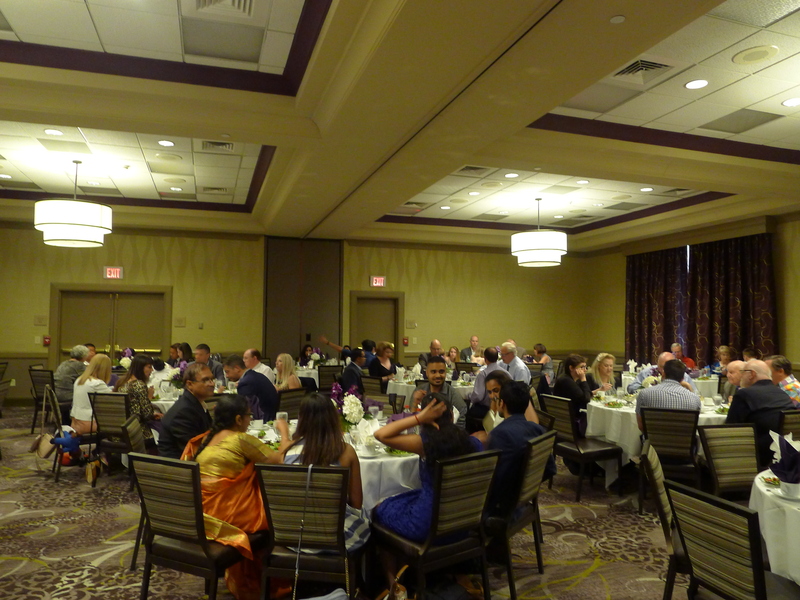 If you have guests who are unable to attend, please direct them to the live webcast of the McCormick Master’s event. *Parking is available in the Northwestern lot behind the Hilton. Who: Graduates and their friends/families and MSIT faculty & staff. We look forward to celebrating this achievement with all of our MSIT graduates and their friends/families! Please contact George Nejmeh, MSIT Program Facilitator, with any questions.